UPDATED 5th February: On 30th June Kerry Ellis and Brian May will take their Born Free tour to the Olympia Theatre in in Dublin with more dates to be announced. 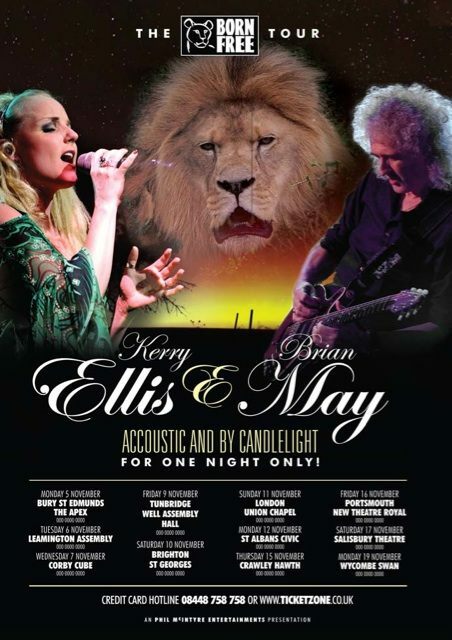 Rock legend Brian May will be touring with West End star Kerry Ellis Acoustic and by Candlelight during November in support of the world famous Born Free Foundation. 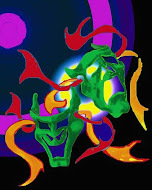 Queen guitarist Brian May will be performing new arrangements of songs he has specially chosen to be sung by Kerry, accompanying her on both guitar and vocals. The tour will visit the following venues in December: Bury St Edmunds Apex 5th: Leamington Assembly 6th: Corby Cube 7th: Tunbridge Wells Assembly Hall 9th: Brighton St George’s 10th : London Union Chapel 11th: St Albans Civic 12th : Crawley Hawth 15th : Portsmouth New Theatre Royal 16th : Salisbury City Hall 17th and Wycombe Swan 19th November.